Whether you’ve decided to dive into the points and miles hobby or are just interested in opening a card to start building your credit, there’s definitely a learning curve. The most important way to start the learning process is by selecting a first credit card so you can start building up that credit score and even earn rewards toward “free” travel. Unfortunately, the decision of which card to open first is often fraught with confusion. What if you don’t have an extensive credit history? Won’t opening a new credit card annihilate your credit score? And most importantly, how do you select the best one? If you’re looking for guidance, you’ve come to the right place. Today I’m going to highlight 7 terrific options for starter cards. These picks are especially great for those interested in award travel, but there are also some strong cash-back options for those of you who simply want to maximize your spending without jumping through hoops. Before we get to the list, though, a quick primer on the relationship to your credit profile and credit cards. Let’s start with your FICO score. This number is a numerical representation of your trustworthiness when it comes to money you have borrowed (be it a car loan, mortgage or line of credit). The lower the score, the more likely you are to default on an account, leading lenders to either increase your cost of borrowing through higher interest rates or fees or simply deny you additional credit outright. There are many misconceptions and complexities to determining your exact score, but one thing is certain: Opening and responsibly using a credit card is one of the best ways to increase your credit score in the long run. Sure, a new account will trigger a hard inquiry and a temporary ding to your credit score, but the benefits of the new card will quickly outweigh this small dip. This is largely due to the fact that it will build your credit history. How else will a potential lender know that you can be trusted? If you show a pattern of spending within your means and never miss a payment on a credit card, your score will only climb in the long term. Are Cards a Surefire Way to Get Into Debt? Does Applying for a Card Permanently Impact My Credit Score? Is a Debit Card Better for Your Credit History? I’ll then provide some narrative around the overall value proposition and finish up with a notation of exactly who would be ideally suited for that particular card. As always, please feel free to post and questions in the comments section below and we’ll be happy to answer them! Whenever a friend or family member asks for a first credit card recommendation, the Sapphire Preferred is the first one that comes to mind. Ultimate Rewards points regularly appear near the top of TPG’s monthly valuations thanks to the valuable transfer partners like Hyatt and United, but the card also allows for redemptions directly through Chase at a rate of 1.25 cents apiece. This combines simplicity with the potential for future, more valuable redemptions as you learn more about redeeming points for maximum value. The card also includes additional perks like primary car rental coverage, trip delay protection and no foreign transaction fees. For complete details on this card, check out our review. The Venture Card from Capital One now offers an astounding 10x miles on Hotels.com purchases. Sign-up bonus: Earn 50,000 miles once you spend $3,000 on purchases within the first 3 months from account opening. 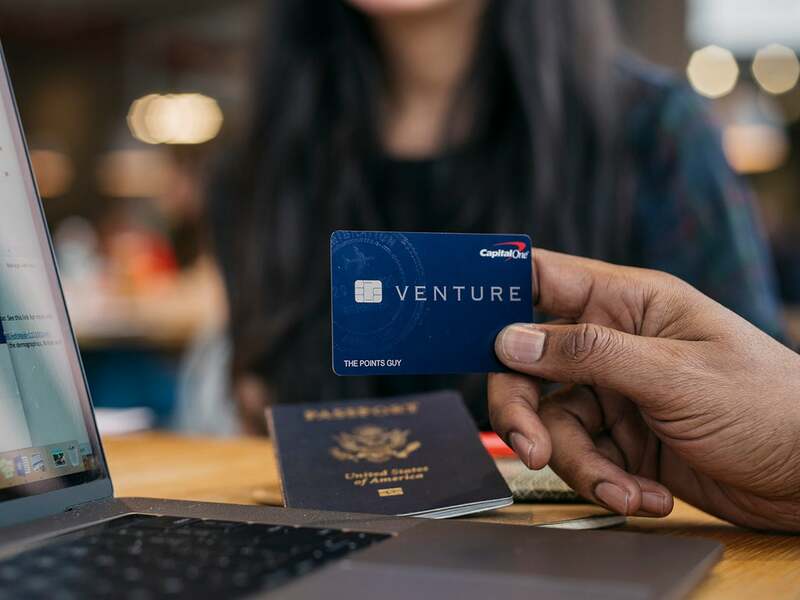 The Capital One Venture Rewards Card offers an almost unheard of combination of fixed-value redemptions and flexible, transferable points. After earning a 50,000 point welcome bonus which is guaranteed to net you a minimum of $500 worth of free travel, you have two choices for how to redeem your points. You can redeem your points for one cent each as a statement credit towards any eligible travel purchase made in the last 90 days (hence the $500 value of your bonus), or you can transfer them to one of 14 airline partners spanning all three major airline alliances and a few non-alliance carriers as well. Based on this broad selection of redemption options, TPG decided to value these newly transferable miles at 1.4 cents each, making your bonus worth as much as $700. The best part? You don’t have to commit to one style or the other. You can rack up a large number of points and pick and choose whether you’ll transfer them or redeem them for a fixed value for each individual trip you take. The Venture card earns 2x miles on all purchases, meaning you’ll rack up your points at a fast clip. The only exception to this is purchases at hotels.com, where you’ll earn a whopping 10x miles if you book at hotels.com/venture and pay with your Venture Rewards card. Prefer cash back in your pocket? Consider the Citi Double Cash and it’s effective return of 2% on every purchase. My mother-in-law likes to say that cash is king, and if you aren’t interested in dissecting award charts or even the hassle of figuring out how to redeem your points or miles for travel, the Citi Double Cash Card is a terrific option. By earning 1% back when you buy and another 1% back when you pay, you’re essentially getting 2 cents back for every dollar you spend. It’s simple and straight-forward, with no bonus categories to worry about and no annual fee either. The card does incur a 3% foreign transaction fee when used abroad, but if the majority of your spending is within the US, this is a great starter card. Current bonus: Earn $200 back after you spend $1,000 in purchases on your new card in your first 3 months. You will receive the $200 back in the form of a statement credit. Another flavor of cash-back starter cards is the Amex Blue Cash Everyday. This is a good option if you want to dip your toes into bonus categories or if you typically spend a lot at grocery stores, gas stations and department stores each year. It also includes a variety of added perks like Purchase Protection and complimentary ShopRunner membership. Like with the Citi Double Cash, you will pay a foreign transaction fee (2.7%) when used outside the US, but with no annual fee, a decent welcome bonus and enhanced earning potential at certain merchants, this too makes for a solid starter card. The Chase Freedom Unlimited is a great starter card thanks to its lack of annual fee and consistent 1.5% return on all purchases with no caps or bonus categories to worry about. If you’re only looking for cash back and are planning on sticking to a single credit card, obviously you’d be better off with the 2% of the Citi Double Cash. The Freedom Unlimited really shines, however, when paired with a Chase Ultimate Rewards earning card such as the Sapphire Reserve, Sapphire Preferred or Ink Business Preferred. The cash back earned on the Freedom Unlimited comes in the form of ‘points’ worth one cent each, but if you hold one of the aforementioned cards you can convert these cash back points into full fledged Ultimate Rewards points and transfer them to Chase’s excellent collection of airline and hotel partners. Since TPG values Ultimate Rewards points at 2 cents each, this automatically doubles you return and makes the return on everyday spending with the Freedom Unlimited an impressive 3%. Sign-up bonus: 25,000 online bonus points after you make at least $1,000 in purchases in the first 90 days of account opening — which can be redeemed for a $250 statement credit toward travel purchases. Of course, you may be looking for more “exciting” options beyond simple cash-back credit cards, and if so, Bank of America’s Travel Rewards card could be a good fit. The program allows you to redeem your points for statement credits toward travel purchases at a fixed rate of 1 cent per point, and this applies not only to flights and hotels but also to cruises, rental cars and even baggage fees. However, the biggest benefit of this card is extended to current Bank of America customers. You’ll enjoy an extra 10% customer bonus when you redeem your rewards back into an eligible Bank of America checking or savings account, and you can boost that bonus to up to 75% if you’re a Preferred Rewards client. These perks make it a great option for those who currently do business with the bank. In addition, the card waives foreign transaction fees despite incurring no annual fee, making it a terrific choice for those who travel outside the country even just once a year. If you like this earning model but are looking for a little bit more, you can opt for the Amex EveryDay Preferred card instead. While you’ll pay a $95 annual fee, you’ll earn 3x points at US supermarkets (again on your first $6,000 of purchases a year), 2x at US gas stations, and 1x everywhere else. Your monthly multiplier also gets upped to a 50% bonus every billing period that you make 30 or more transactions. If you can meet this target month after month, you’ll end up earning 4.5x at grocery stores and 3x at US gas stations, as well as a baseline 2x on everyday spending. Getting started in the world of credit cards can seem like a daunting task, but it doesn’t need to be that way. 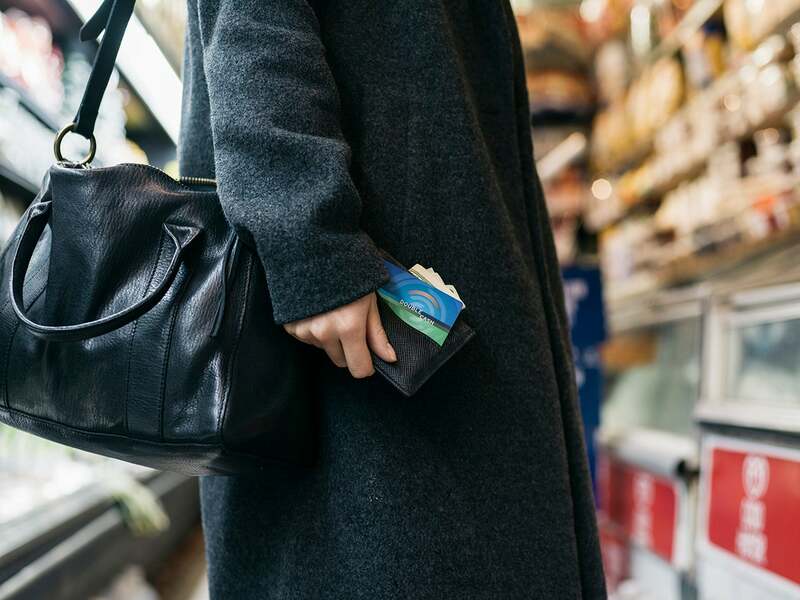 No one is going to be an expert on day one, especially if you’re looking to maximize your spending with the hopes of earning travel rewards, but it’s important to start somewhere, and picking a good first card from this list is a great way to do just that. Hopefully this post has helped you narrow down your list to make a final decision!